If you are interested in fishing for northern pike, I’m going to warn you they're not easy to catch, but they sure are good eating. The northern pike are a very elongated fish. The head is large and has a flat dorsal surface. Pike have duck bill jaws that are large with sharp, pointed and curved teeth. Pike have fully scaled cheeks and five sensory pores on each side of the lower jaw. Their sides have irregular rows of yellow or golden scales that look like beans. 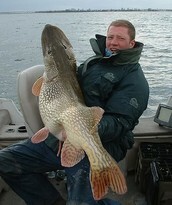 Pike can grow up to three feet long and weigh up to twenty pounds. Northern pike live in cold places. The reason why is, because they can’t live in warm water so they live where there’s cold water. 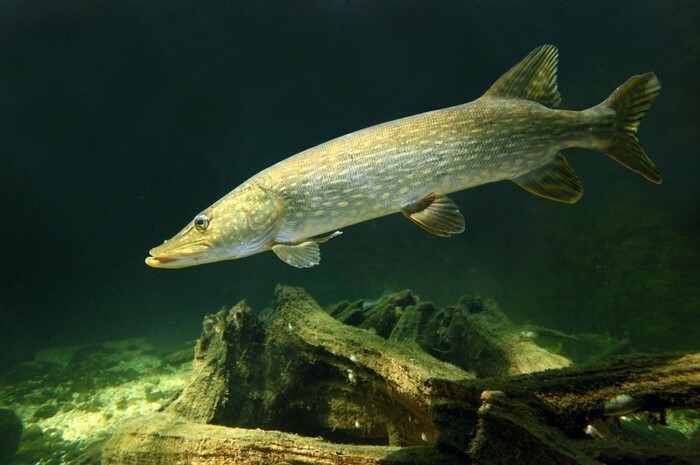 Pike prefer clear, shallow, and plant filled areas of lakes and large rivers. They have adapted to deep warm water areas too. In South Dakota they have only been native to lakes and rivers in the eastern part of the state. Northern pike spawn immediately after the ice melts (early spring). When water temperatures get up to about 40 degrees, they start spawning. Pike are the first game fish to spawn. 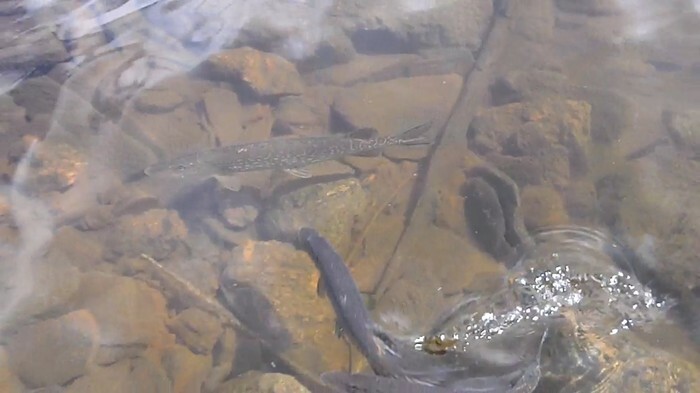 During late March to early April, they start spawning. Male pike mature at the age two and females at the age three. A single large female pike may lay 600,000 eggs, but most of them won’t hatch because eggs will fall to fungus, invertebrates or other fishes.Two weeks later the eggs will hatch. These fish are very extraordinary. They’re big, beautiful, and rewarding fish because they're not very easy to catch.